In this series of global leaders, we will highlight an international non-profit healthcare organization that provides a bridge between patient care and the complexities of medicine. This area of healthcare is often referred to as Bioethics and in 2011, Dr. Ana Lita and Dr. Charles Debrovner co-founded Global Bioethics Initiative (GBI). This organization offers an all-inclusive resource that allow young and established healthcare professionals a place to learn about essential information about the ethical dilemmas in medicine. GBI is unique in their approach in that they make Bioethics approachable and tangible to everyone. This first installment of this series will layout the reasons behind making bioethics global, the reasons for forming GBI, and their educational programs. People are beginning to appreciate more deeply the bonds between human well-being and the unrelenting pace of medical and technological advances. The progress made in life sciences, medicine and biotechnology in recent years has provided us with exciting and novel ways of treating, preventing, and curing human diseases. Some (relatively) recent notable and controversial developments in medical science and biotechnology include: markets in organs and transplantation therapy, the accessibility of biotechnological developments in reproductive healthcare, genetic testing and gene therapy, the End-of-Life, the “right to die” and palliative care, as well as life extension, healthy aging and regenerative medicine. While the positive impact of these advances on individuals and societies must be applauded, the ethical consequences of such developments necessitate our attention. The increasing power that new biotechnologies offer us requires that we consider not only whether something can be done, but whether it should it be done. The expansion of biomedical technologies to many areas of human existence has increased the importance of Bioethics. Combining both theoretical and practical approaches, the interdisciplinary field of Bioethics allows us to explore deep moral concerns, fears, and hopes regarding the impact of medical sciences and biotechnological advancements on our lives. The prevailing assumption in the field of Bioethics is that careful analysis and ethical consideration might help at least to make some progress in reaching a reasonable ethical decision. An ideal moral framework should promote core human values such as freedom, self-determination, autonomy, responsibility, and solidarity, while avoiding any authoritarian appeal. Most bioethicists believe that ethical reasoning must hold beyond the framework of any particular conservative belief. Over time, some conservative think tanks have also recognized the importance of bioethics and have therefore adjusted their intellectual and political infrastructures accordingly. Corporate entities with significant profit interests in these matters have never been timid in maximizing their financial gains and political influence. If the application of medical and biotechnological advancements is to be realized in the interests of global welfare and human rights, then non-profit organizations focusing on bioethical issues have to find ways of actively engaging the public in the current intellectual and political debates. The Global Bioethics Initiative was co-founded by Ana Lita, Ph.D. (applied ethics) and Dr. Charles Debrovner, Clinical Professor of Obstetrics and Gynecology (retired) at the NYU Langone School of Medicine. It was established in 2011 as a tax-exempt 501(c)(3) international, non-profit organization, with the dual aims of enhancing dialogue regarding bioethical issues among various stakeholders and providing an educational platform to increase awareness of bioethics internationally. With the goal of promoting our motto “Doing bioethics in real life!” GBI works with a diverse array of individuals including academics, policy makers, and the general public. We believe that bringing together various participants from different interests and values can help us foster debate on global bioethics and find solutions to current and emerging issues in medicine and biotechnology. To encourage international debates at the intersection of health, biotechnology and medicine, and to collaborate with policy makers, including those at the United Nations (UN) and its agencies, GBI became a member of the United Nations Academic Impact (UNAI). The UNAI is a global initiative that aligns institutions of higher education with the United Nations to further the realization of the organization’s mission through activities based on intercultural research and shared intellectual social responsibility. The Committee on Non-Governmental Organizations nominated the Global Bioethics Initiative for Special Consultative Status with the Economic and Social Council (ECOSOC), the United Nation’s central platform for debate, reflection, and innovative thinking on sustainable development. GBI is one of only a few organizations to receive such a status. In this capacity, GBI will be able to offer policy recommendations directly to those who craft and initiate legislation and participate in intergovernmental meetings of the United Nations. Our unique summer programs mark a significant development of the necessary educational aspect of bioethics. GBI hosts annual summer programs in Manhattan and Dubrovnik (Croatia) with topics pertaining to global bioethics, human rights and public policy. Several themes included in our summer programs focus on the defense of free scientific inquiry, an ideal of ethical universalism or cosmopolitism, and a reason-based response to conservative bioethics. 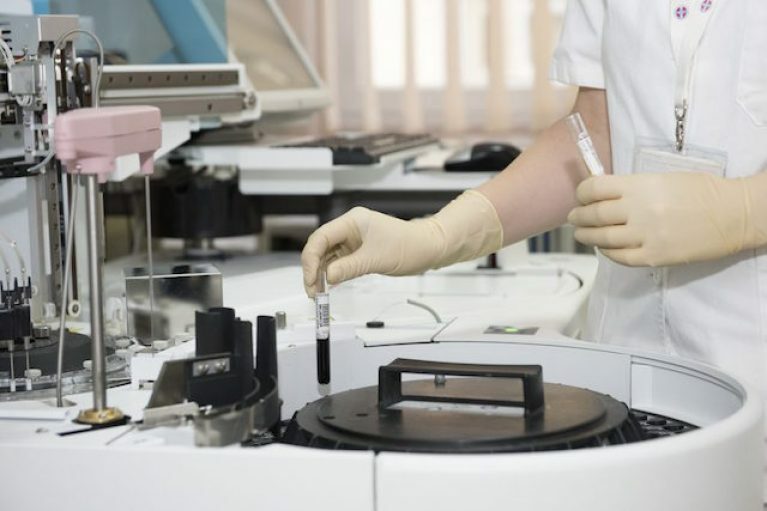 The questions of whether these aspects of thought have helped resolve bioethical disagreements and whether there might be viable alternatives to them is left open for discussion throughout the program. The summer programs assist the development of an ethical analysis of some global bioethical issues, and hopefully approach consensus among the participants on what positions should be taken in our organization’s lobbying efforts at the UN and elsewhere. The summer programs included participants from a variety of educational/professional backgrounds, including medical doctors, lawyers, policy-makers, researchers, nurses, Ph.D.s and undergraduate candidates from around the world in an international and trans-cultural discussion. Taught by experts who are leaders in their field, the goal of these summer school programs is to provide up to date information to participants and to foster dialogue between diverse constituencies. Topics discussed include: religious traditions and their impact on bioethics, research ethics, bioethics and national security, ethical issues involving reprogenetic technologies, the ethics of organ transplantation, and ethical issues at the end-of-life, the ethics of emerging biomedical technologies, human enhancement, regenerative medicine, ethical concerns in criminalizing the medical acts during warfare, and healthy aging.